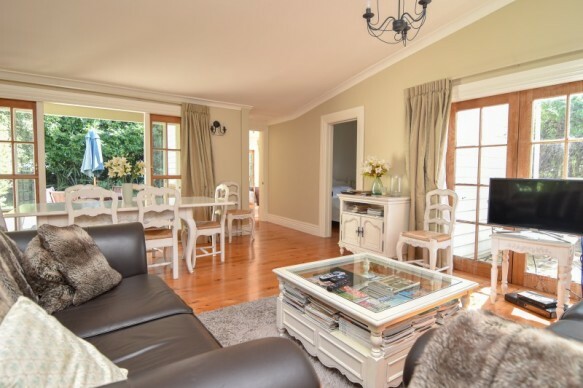 This spacious character home has been tastefully renovated throughout, simply move in and enjoy. On offer here is space, location and a lovely private setting. Large farm style kitchen and dining, roomy living areas that open to the west facing patio and established garden, a lovely sheltered place to entertain friends and family. This home has so many wonderful features which include polished wooden floors, free standing fire, large bathroom, two toilets, generous bedrooms and it is fully fenced. This is an ideal lock up and leave or it's totally fabulous for full-time living - so many options are on offer here. This is an absolute must view if you are looking for a sizable character home - call us today to arrange your private viewing.